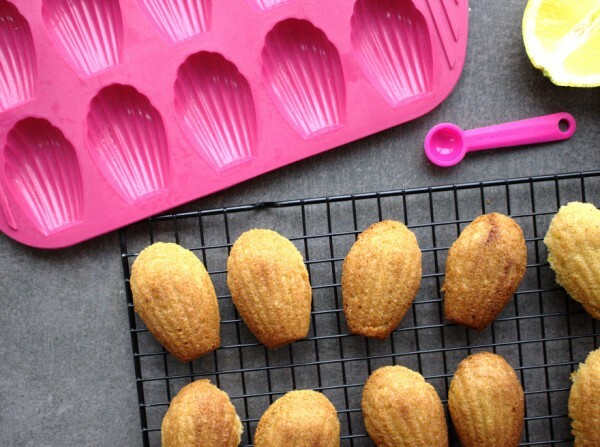 Madeleines: traditional French scallop-shaped cakes originally hailing from the Lorraine region in the North East. The first time I tasted a madeleine, I wasn’t quite sure what to expect. It was definitely more like a cake than a biscuit and the deliciously buttery taste shone through immediately. When my husband visited family in France recently, I just knew what I wanted him to bring home! 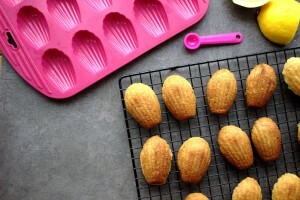 Madeleine tins or moulds are readily available especially online but I liked the idea of getting a proper French one :). After many attempts and recipe tweaks, I am really proud of this recipe. Gluten, grain and refined sugar-free does not mean boring. My whole family gave these a big thumbs up. My husband thought these were my best snack yet! As with all my recipes, good quality ingredients are essential. My madeleines call for almond flour not ground almonds. I have seen many recipes completely fail when ground almonds were substituted. Almond flour is much finer in texture than ground almonds and as its name suggests is much more “flour” like than the ground form. As butter is an important ingredient in this recipe also, I highly recommend using Kerrygold or another good quality butter. You will really taste the difference here. For the lemon zest, ideally you should use unwaxed lemons although at times they can be difficult to get. 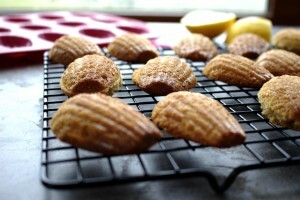 Obviously, you will also need a madeleine tray (or two) to make these to get the traditional scallop shape. You can buy them on Ebay or Amazon or many online home stores. I just have one tray so I just give it a quick clean after the first batch and then bake the next batch. These madeleines are relatively easy to make and quick enough to bake so they are perfect to make in the morning if you are having friends over. In all honestly, we don’t need any excuse to make them! A delicious gluten, grain and refined sugar-free version of these French classic cakes. 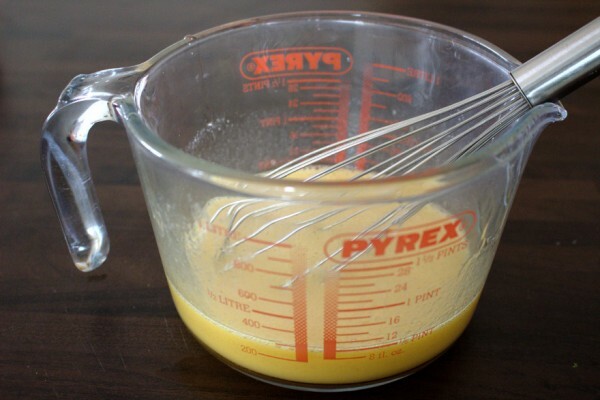 Mix all the wet ingredients well: butter, eggs, vanilla, lemon juice and honey. 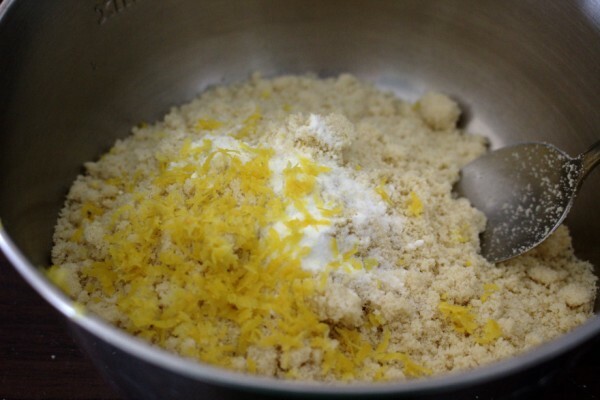 In another bowl mix all the dry ingredients: almond flour, salt, lemon zest and bicarbonate of soda. 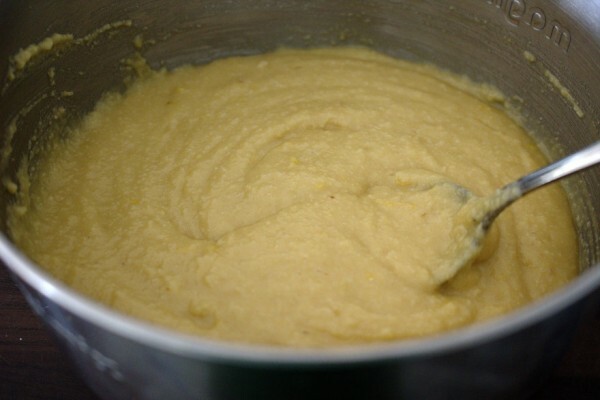 Make a well in the dry ingredients, add the wet ingredients and blend well with a spatula or spoon. Using the melted butter for greasing, grease the madeleine dish well. Fill trays with roughly one tablespoon of the mixture in each. Don't overfill as the shape won't come out right. If you have only one tray like me, you will need to do this in two batches. Bake for 10 minutes until golden brown. 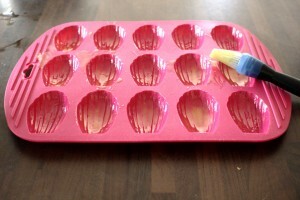 Allow to cool in the tray for 10 minutes before popping out to cool on a wire tray. When do you get your Almond Flour? Hi Tracy, you can find ground almonds in your local store’s bakery section. They might work for this recipe but they are not very finely ground. The best would be to purchase almond flour. Online is best. I buy mine from a UK site. Where are you based? Thank you for this recipe. They are delicious! I altered just a little and adjusted to 1 1/2 c. almond flour and 1/2 c. flax meal, as well as used maple syrup (instead of honey) and added a couple of tablespoons of cacao powder, as well as switched 1 tsp of almond flavour for one of the vanilla tsp. Thanks for letting me know you made this and enjoyed it! It’s good to know about the substitutions. Unfortunately, cacao powder and a few other things you mentioned are not SCD-legal but if you can tolerate them, great!